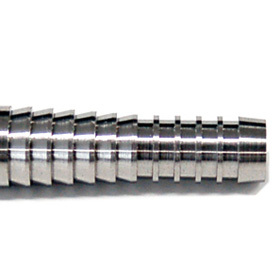 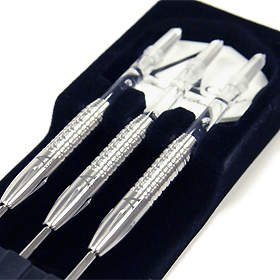 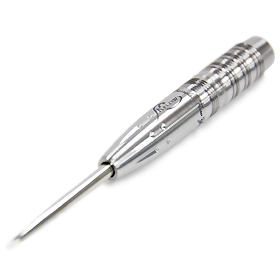 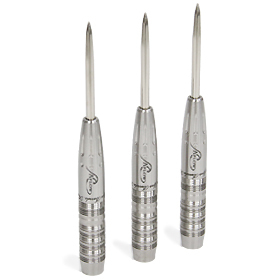 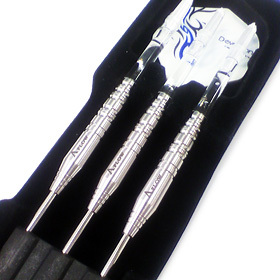 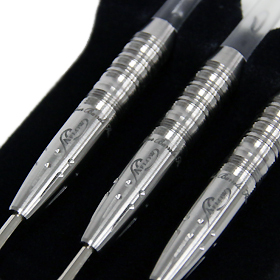 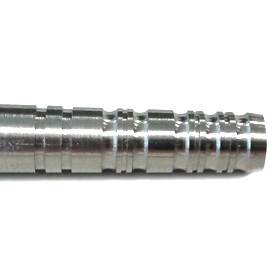 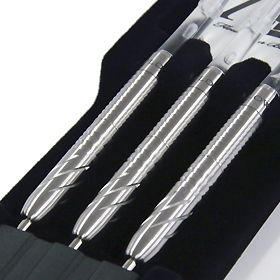 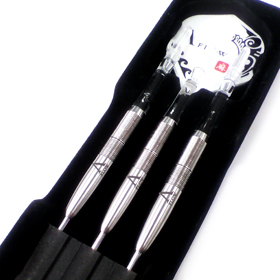 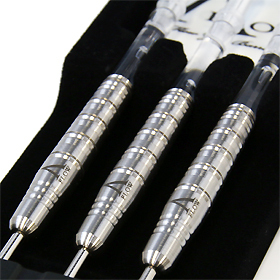 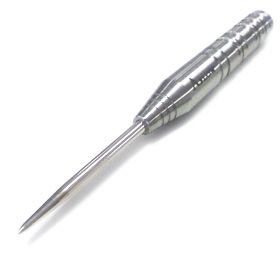 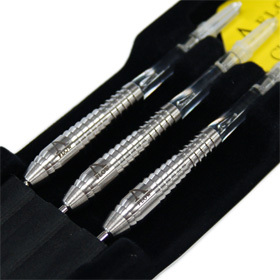 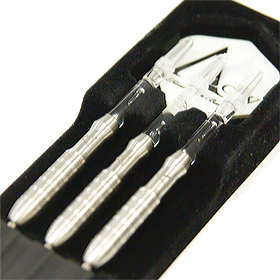 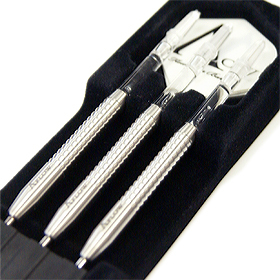 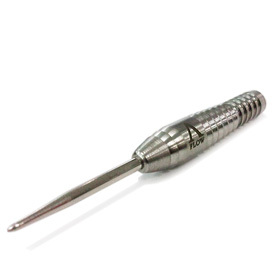 Dynasty's new Steel line brings exceptional Japanese manufacturing to Steel-tip darts. 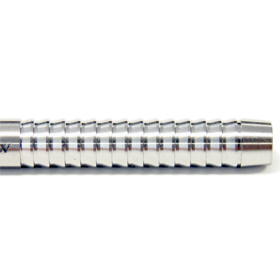 Original barrel designed for Dynasty's professional player, Kiyama. 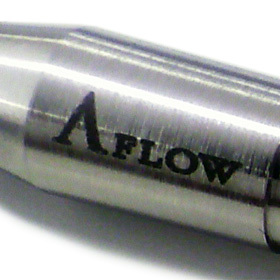 The deep doubling cut on the rear allows for a tight grip and allows the momentum from the take back to the release to be perfectly transferred over to the barrel. 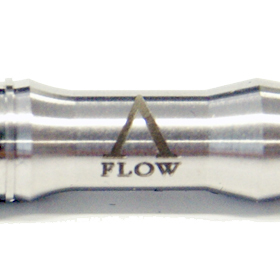 Weight is placed slightly in the front. 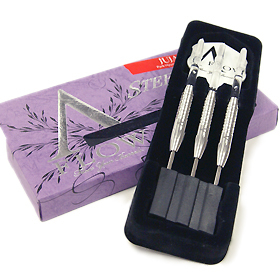 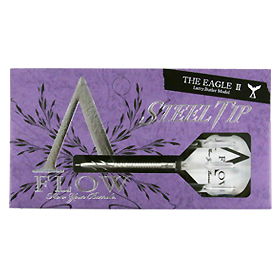 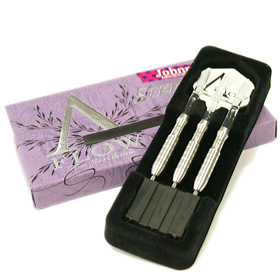 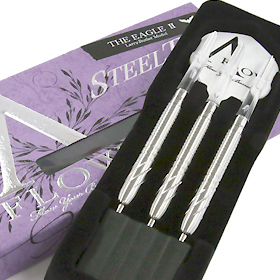 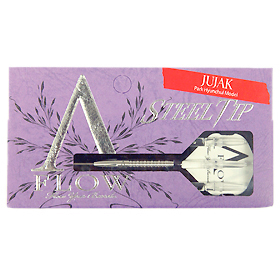 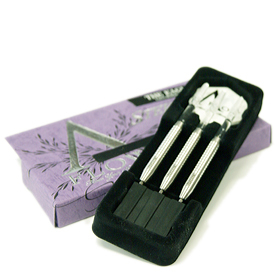 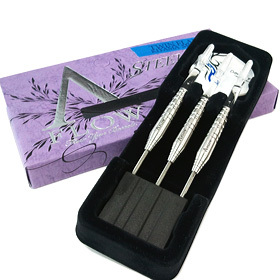 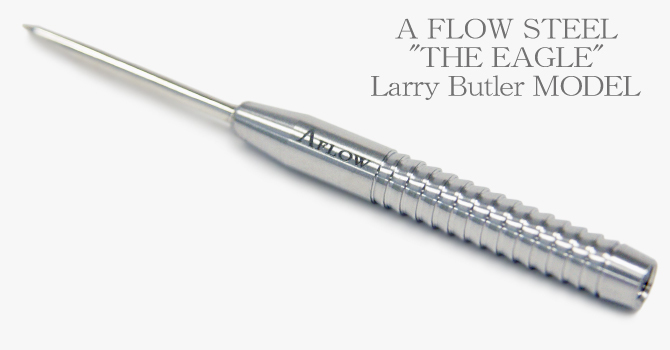 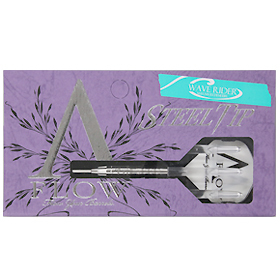 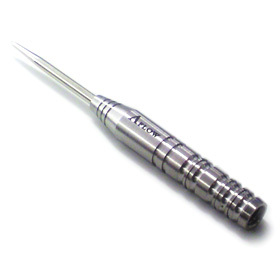 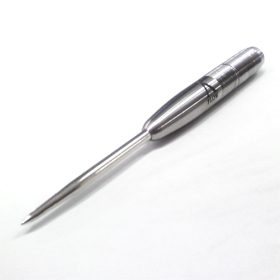 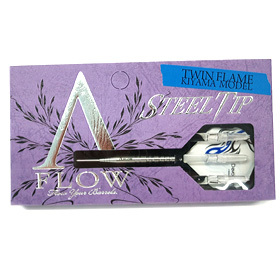 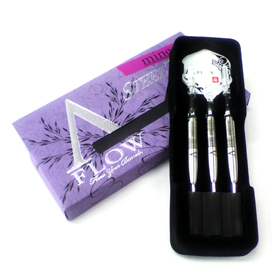 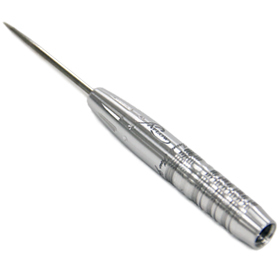 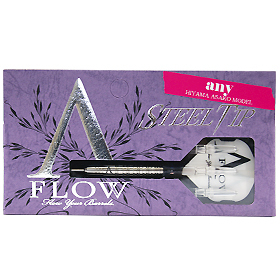 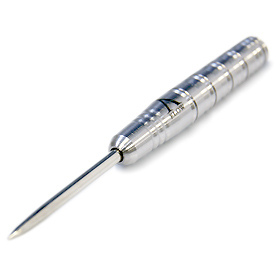 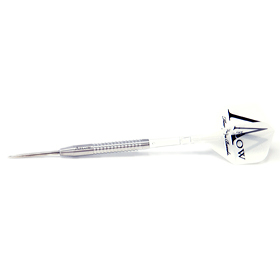 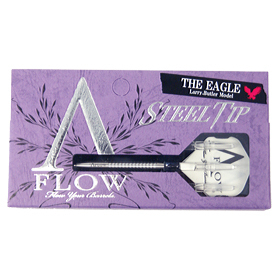 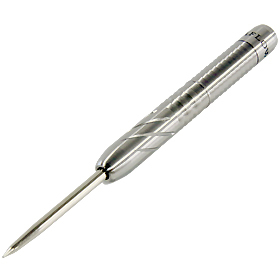 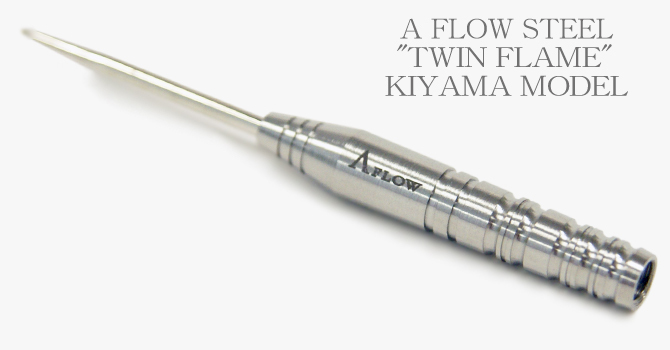 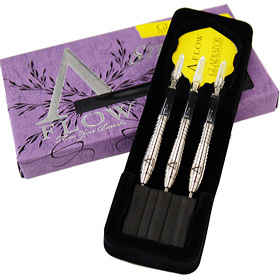 The weight difference between the soft tip and steel tip TWIN FLAME models is only 0.3g, making it an easy transition. 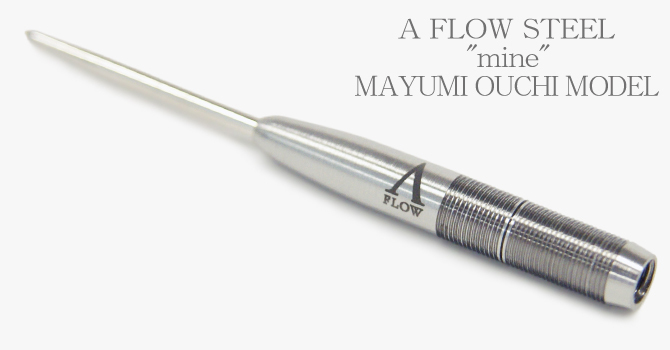 Original barrel designed for Dynasty's professional player, Osaki. 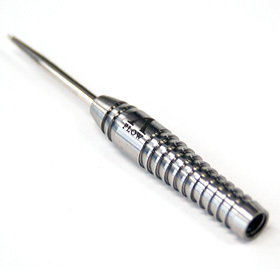 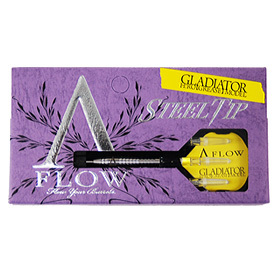 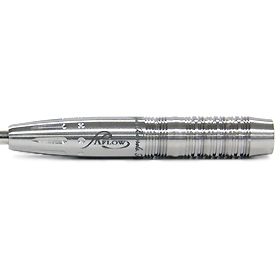 The weight difference between the soft tip and steel tip GLADIATOR model is only 0.2g, making it an easy transition. 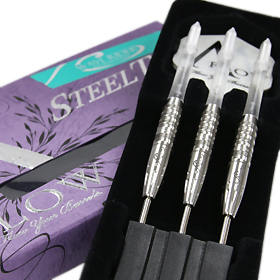 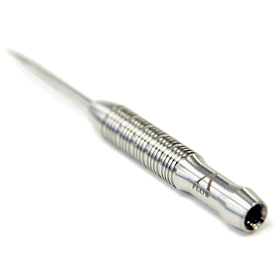 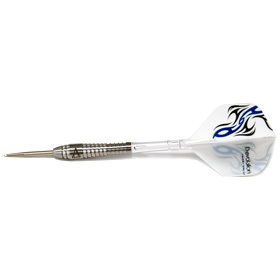 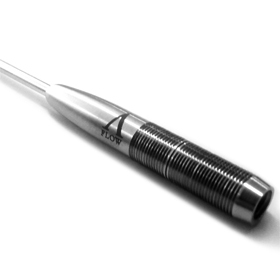 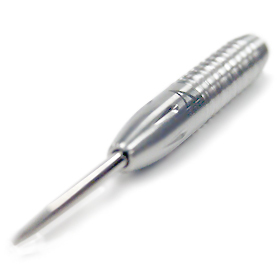 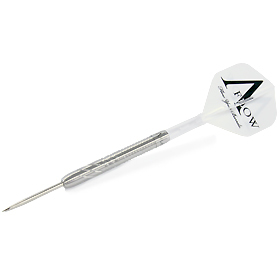 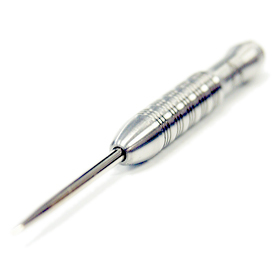 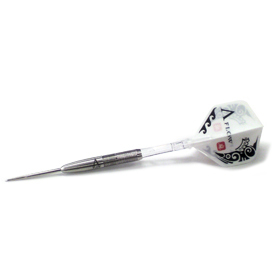 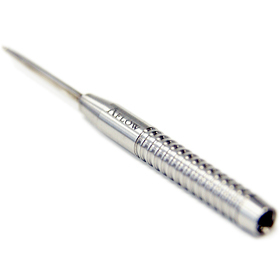 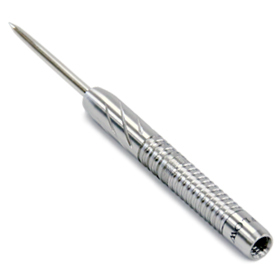 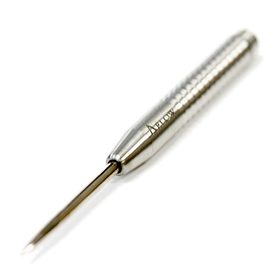 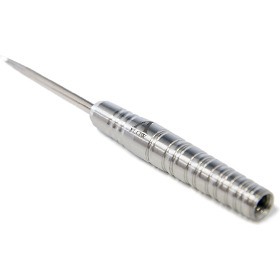 "mine" Steel is tuned for balance specifically for steep-tip, offering superior performance over soft-tip darts with conversion points. 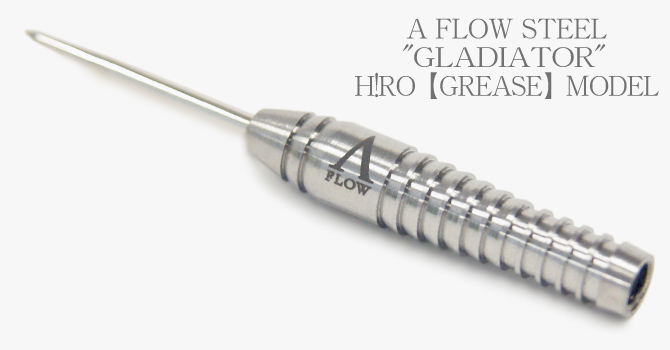 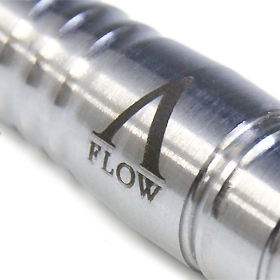 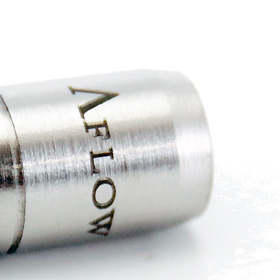 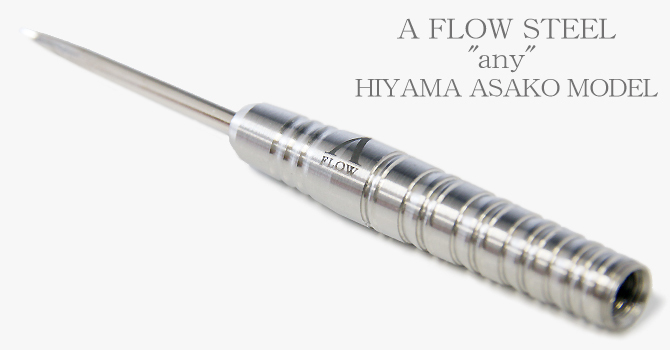 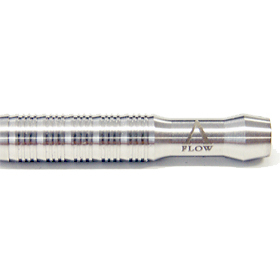 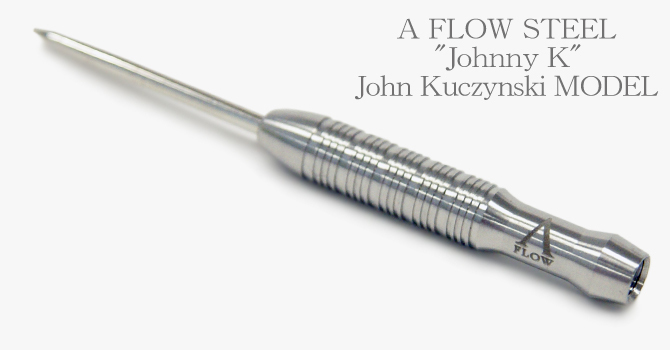 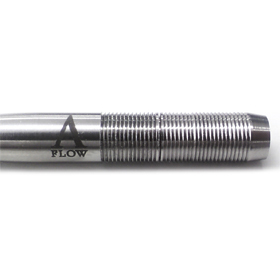 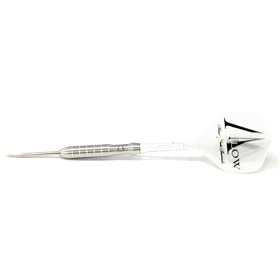 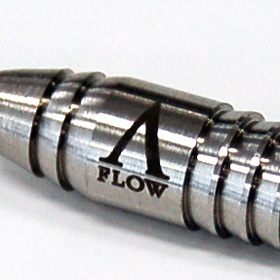 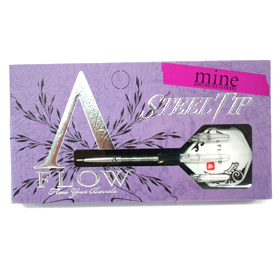 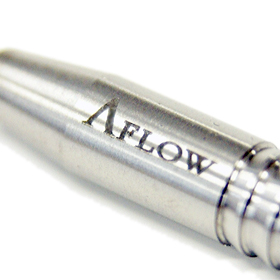 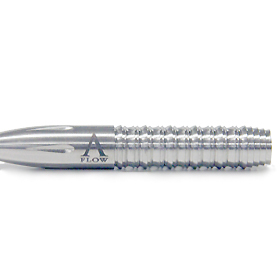 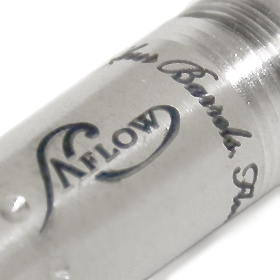 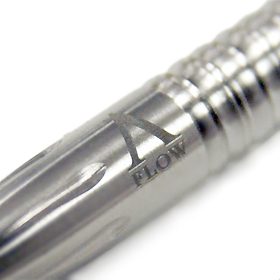 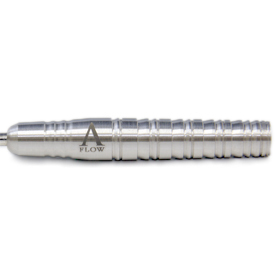 A FLOW "mine" is a comfortable 19.3 grams, offering a steady weight for consistent throws. 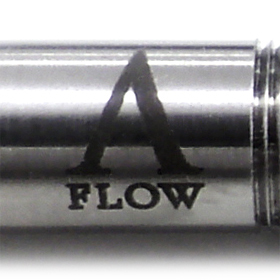 The longest barrel of A-FLOW. 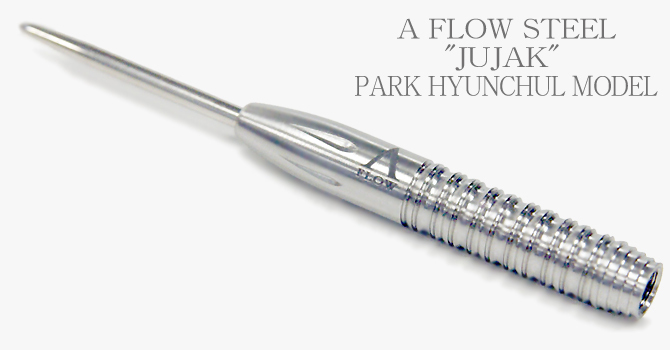 The length and the weight of being one of a kind, so it shows amazing performance. 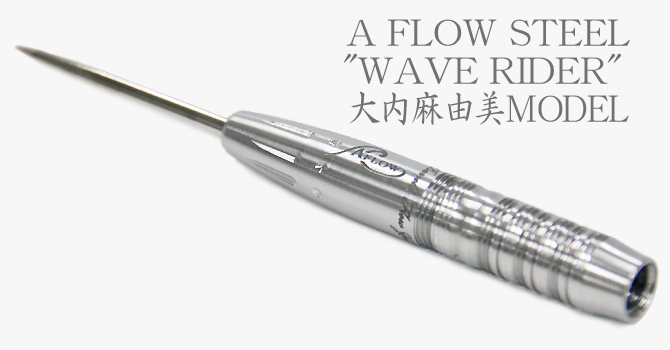 W-WAVE cut of the center helps more stable for grip.